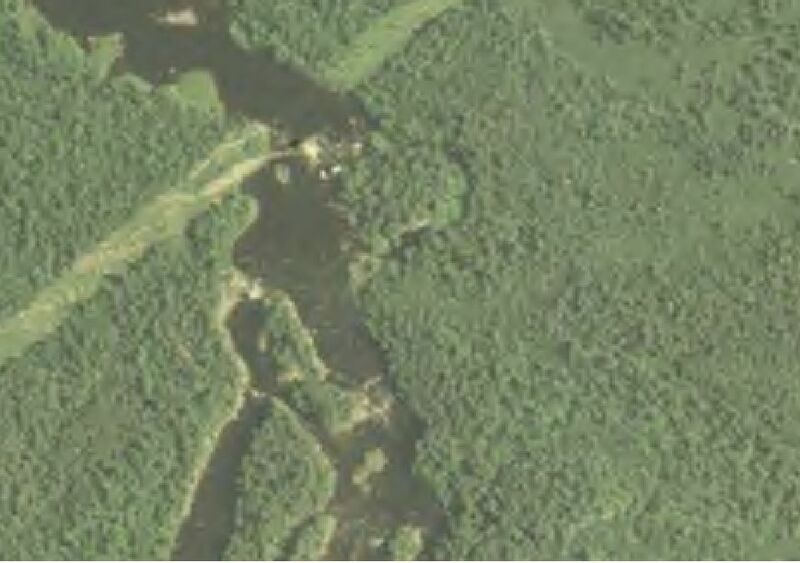 From links in the table below, download selected county mosaics of NAIP 2004, Interim (National Agricultural Imagery Program) aerial photography in MrSID format. The mosaics were created for the U.S. Department of Agriculture, Farm Service Agency compliance program. Replacement files are available for counties with areas not flown in 2003; these areas are being filled with 2004 imagery. As of 1/6/06, available counties are: Brown, Carlton, Cottonwood, Itasca north, Redwood and St. Louis. Download from NAIP2003-04 webpage. For interim 2004 files on this webpage, MnGeo has only those counties that contain areas that could not be flown in 2003. See a list or map of the missing areas. All other 2004 interim county files must still be ordered from FSA. Note that these files may not include all of the area within a county, and they may not include all of the areas that were not flown in 2003. The final county file versions should be more complete. All of the 2004 MrSID county files on this page are an interim version. They are 2-meter resolution, so they will not be as detailed as the one-meter resolution photos available for 2003 (on the plus side, the files are much smaller). 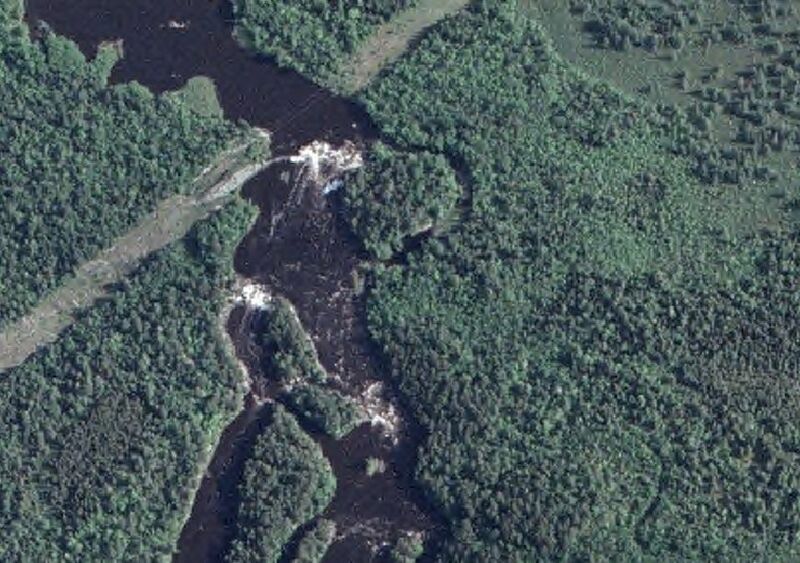 To compare, click on the example photos below, each showing the same area of rapids along the St. Louis River in Carlton County (note that the color balance was also different for the different years). Each link points to a zip file that covers one county. The naming convention for the download file is: "naip04_interim_county name.zip" (for example, Carlton County is "naip04_interim_carlton.zip"). Data files: the image in MrSID format along with a polygon file showing the outlines of the individual GeoTIFF photos used to create the MrSID mosaic. where "county code" is the county number. Each file is named "naip_1-1_2n_mncounty code_2004_1", where county code is the FIPS code. The shapefile includes the .shp, .shx, .dbf and .prj files. naip04_interim.html: This record, created by LMIC from information supplied by FSA, applies to the entire NAIP 2004 interim data set. In addition to the HTML format, two other formats (.lgr and .xml) are provided for users who may need to edit the documentation (see the readmeta.txt file included with the download file for more explanation of these formats). FSA metadata, one file for each county photo and polygon file, in .txt and .xml format. These files contain the dates that each original quarter-quadrangle photo was flown. NOTICE.RTF and NOTICE.TXT: LMIC's standard distribution liability statement.